Natural gas, which Bulgargaz sells to final suppliers and customers, will be increased by 2.6% as of April 1, the Energy and Water Regulatory Commission decided. The price for the second quarter of the year will be BGN 361.82 per 1000 cubic meters or 34.04 BGN / MWh (excluding excise duty and VAT). The value is determined on the basis of the submitted data and documents and after calculations according to the applied price model, explained by the Commission. Bulgaraz asked to sell the blue fuel with 4.82% increase in price in the second quarter of the year. However, at the beginning of the week it became clear that the KEVR would not comply with the request and would impose a smaller increase of 2.6 per cent. The reason for this is that the company earned more that it should in 2017 from fuel prices. The Working Group of the Energy and Water Regulatory Commission found that in 2017 Bulgargaz had realized revenues of BGN 5 284 583 more because of the fact that the gas price had exceeded the actual costs incurred. Within the framework of the WIFI4YOU initiative there are over 300 requests from Bulgarian municipalities for inclusion in internet projects, a decision of the Bulgarian government and the local authorities is one or several schools to be included in each application, Mariya Gabriel, Commissioner for the Digital Economy and Society said on 30th of March at a meeting with the Executive Committee of the Coordination Council of Confederation of Independent Trade Unions in Bulgaria (CITUB). The President of the Confederation of Independent Trade Unions (CITUB), Plamen Dimitrov, announced that he had talked on this subject with the Minister of Education Krasimir Valchev and received support. The idea of “Wireless Internet for Every School” is to be discussed with the National Association of Municipalities. The leader of the Union of the Bulgarian Teachers, Yanka Takeva, has raised the issue of the technological renewal of the companies involved in the dual training programmes. Investing in new technologies is needed because children need to learn to work on new machines, not on the ones from the past century, Takeva said. On Saturday clouds, mostly medium and high, will increase from west to east. It will blow a mild to moderate wind from the south-southwest, which will intensify in the afternoon and night through Sunday, especially in eastern Bulgaria and the areas north of the mountains. A yellow code for strong winds has been announced for 17 districts in the country and the capital Sofia for Saturday, March 31, according to the site of the National Institute of Meteorology and Hydrology at the Bulgarian Academy of Sciences. The warning applies to the areas of Montana, Vratsa, Lovech, Gabrovo, Veliko Tarnovo, Ruse, Silistra, Razgrad, Targovishte, Shumen, Dobrich, Varna, Bourgas, Sliven, Yambol, Haskovo, Kardzhali and Sofia. On Saturday, temperatures will rise and the minimum will be 5 to 10 degrees, and the maximum will be between 20 and 25 degrees. Two coaches on a fast passenger train caught on fire at Konyovo station between Nova Zagora and Yambol. The report of the incident was filed around 20.02. Two fire-fighting teams arrived on the scene and began extinguish the fire. Other teams of the fire brigade, police, ambulances and BDZ staff are traveling to the scene. Passengers have been evacuated, there are no injured people. It is still unclear how many passengers have traveled on the train. Minutes after 9pm the fire is still not extinguished. The lowest temperatures in April in Bulgaria will be between -1 and 4 degrees, and the highest – between 28 and 33 degrees, said Mariana Popova – a meteorologist from NIMH-BAS, reported BTA. According to her in April this year, the average monthly temperature is expected to be around and above the norm, which for the vast part of the country is between 11 and 13 degrees, on the Black Sea coast and in the high fields – between 9 and 11 degrees. in the mountains – from -5 to 2 degrees. The monthly average rainfall in April will be around the norm, which for the plains is between 40 and 70 liters per square meter, and in mountain areas – between 60 and 100 liters per square meter. On April 1, a cold atmospheric front will pass through the country and temperatures will drop for a short while. There will also be precipitation of rain, in places with thunder. Consequently, the atmosphere will stabilize and the probability of precipitation is small. There will be a southwest transfer and will be warm again. Most days from the first ten days of April temperatures will be higher than usual. Around Easter, however, the probability of precipitation will increase, and at the very end of the ten-day period temperatures will drop. the temperatures will be close to the average for the period. The weather will be variable, there will also be precipitations, in places with thunder. In the period 15-18 April, there will be a probability of a more widespread and temporary intensive rainfall. On some days, in clear and quiet weather, morning temperatures will remain close to 0 degrees and there is a risk of frost. April is more likely to keep the dynamics of the atmosphere. There are conditions for precipitation, mostly in the afternoon, short-lived, with spotty character and with varying intensity, in places accompanied by thunder. More sunshine will be available until noon. Temperatures will slightly fluctuate around values ? ?close to the usual ones. The weather report sets April as a typical spring month. Temperatures are rising significantly. The number of sunny days is increasing. Occasionally cold snow falls from the north and the minimum temperatures fall below 0 degrees. Danger of frost exists throughout the month. In intense warm-ups summer temperatures reach 30-34 degrees. In the second half of the month, the thunderstorms are growing. According to the astronomical report, at the beginning of April the sun in our country rises at 7.09 and sets at 19.52. The duration of the day is 12 hours and 43 minutes. At the end of the month the sun rises at 6.23 am and sets at 20:25. The duration of the day is 14 hours and 2 minutes. This week the issue of privacy in social media dominated the news. And as Mark Zuckerburg gets ready to head to Washington, the impact of Facebook’s woes on small businesses was addressed. The of eroding trust in the social network among Americans could make may have small businesses rethinking use of Facebook to reach customers. This week’s summary also looks at the economy, financing, and technology trends to name but a few of the topics. You can take a look at the rest of the small business news and information roundup below. Facebook is in the midst at a series of scandals threatening to impact the size of its user base and thus perhaps its usefulness to small businesses seeking to reach potential customers. Small businesses can create Facebook pages for their brands and use promoted posts and other paid advertising to reach Facebook users. Americans are losing trust in Facebook (NASDAQ: FB). 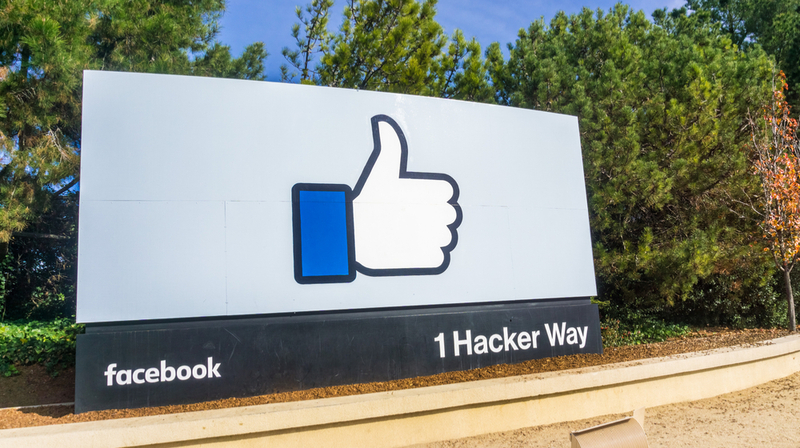 American Trust in Facebook Declining According to a recent poll conducted by Reuters and Ipsos, the social media company ranked lowest in trust on privacy issues among the major tech companies serving small businesses. The latest Clutch survey says 52 percent of small businesses post on social media every day, and women-owned businesses are more likely to use it more than men. How Small Businesses Use Social Media in 2018 Seventy-one percent said they use social media, with 16 percent that are not currently using it but plan on doing so, and 13 percent said they don’t use it all. Late last week, President Donald Trump signed into law the 2018 omnibus spending bill. It’s being called a long-term spending plan for the federal government. And because Trump signed it into law despite threatening to veto it, another federal government shutdown was averted. Last year Google (NASDAQ:GOOGL) entered the recruiting space with Google Hire, an Applicant Tracking System software for small businesses, and now it has improved the service with the addition of a Gmail add-on. What does this mean for recruiters? You can now interact with potential candidates within Gmail and not have to switch between applications. It can be a daunting task to find the right employee to fill the vacant position your company has to offer. You want someone who can handle the responsibilities of the job and also have a personality that works well with your current employees and overall company culture. An entrepreneur takes many risks simply by making the choice to start a business. You likely did all of your homework and have an excellent business model you’re using. You likely secured financing through credit cards or a small business loan, both of which seemed sensible considering your anticipated revenue. We tend to think of learning a new skill or “going back to school” as something you’d do when looking to change careers, or to upgrade within your current one. But lifelong learning has incredible benefits, both personal and professional, say researchers. It makes communities more productive and innovative, and gives employees the ability to cope with constantly changing workplaces. In Getting to Equal 2018, a survey of more than 22,000 working men and women, Accenture (NYSE: ACN) identified 40 factors that influence women’s advancement in the workplace. When these 40 factors are present, the study found, women are four times as likely to reach executive levels in the workplace. While search engine optimization is an important marketing strategy for all businesses, big brands and companies receive the most hits because they rank higher in searches for wide-ranging keywords. Google doesn’t feature small businesses and smaller brands on the first page of results very often. Shopify vs. Amazon: Which is Better for Your Ecommerce Business? If you plan to sell products online, you’ll need to choose the right platform for your online store. Amazon and Shopify are both great platforms to launch an ecommerce business, but there are big differences between the two you’ll need to sort through. Shopify vs Amazon Fiverr just completed an analysis of the two platforms. I have a friend who just quit her last corporate job. In a matter of two months, she’s managed to have $39,000 of proposals out. She’s also closing sales left and right. While hanging out with her recently, she mentioned how closing sales is easier than she thought it would be. She had no prospects three months ago. Dean Morrow built his business on classic product — with a twist. Morrow is the founder of Wood Tree Swings. The company seeks to update and personalize this type of product while still maintaining the old-time feel. Read about Morrow’s entrepreneurial experience and the business itself in this week’s Small Business Spotlight. Most entrepreneurs at one point or another must search for funding to launch of grow their businesses. Startups, by nature, do not have a track record of generating revenue or profits. Nor do they have a history of repaying loans. However, individuals do. This is why credit scores play such a critical role in small business finance. There is no secret to running a successful business. It takes hard work, intelligence and plenty of smart strategies. However, getting input from experts can apacertainly help. Here are some secrets and tips from members of the online small business community to help you start and grow a successful business. If you are looking to open a restaurant, ascertaining the initial startup and expected operational cost will help you determine what kind of establishment you can open. The new infographic from Bid on Equipment goes into great detail as to what it will cost you to start and operate a restaurant. Zoho today announced a major update to Zoho Creator, its “low code no code” tool to enable anyone to create an app. Creator 5 is the fifth major release in the tool’s 12 year history. A Look at Zoho Creator 5 Overall, the feel of the new Zoho Creator is more intuitive and easier to use. Google (NASDAQ: GOOGL) is continuing its integration of Google Assistant in more services as it looks to compete with Amazon’s Alexa and even Apple’s Siri when it comes to payments. The latest effort is being able to send money from your contacts using your voice and Google Pay. In its analysis of 6 million websites, SiteLock said the average small business site experiences 44 attacks per day or 16,060 attacks per year. The SiteLock Website Security Insider Q4 2017 report identified alarming trends in attacker behavior and tactics, according to the company. SiteLock Website Security Insider Q4 2017 Although the 44. I’m just back from this week’s TrailheaDX developer conference put on by Salesforce. But it’s like no other developer conference I’ve ever been to. That’s because in addition to the expected focus on coding, languages, platforms, integrations, etc, the whole event was infused with equality from a variety of perspectives. And it wasn’t a bolt-on, side-show or after thought to just say we think equality is good. It was at the heart of the event, as many if not most of the presenters were women developers and people of color. And as part of the event, Salesforce celebrated the efforts of the company’s developer community to extend the opportunity for underrepresented groups to get involved with building apps and participating in financial rewards that come with being a cloud developer. While I was there as an industry analyst to hear more about how the Salesforce platform is progressing and how the company is providing tools to make it easier for coders and non-coders to leverage the toolset, it was great to see a diverse group of people demonstrating and teaching the 10 thousand registered attendees how to build all different kinds of apps. And even the inspirational stories were diverse, with my favorite being a fireside chat between Salesforce’s Chief Equality Officer Tony Prophet, and the extraordinary Betty Reid Soskin, the nation’s oldest park ranger at 96 years young! 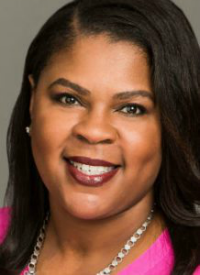 With equality being so central to the culture of Salesforce, I was glad to spend a few minutes talking with Molly Q. Ford, Senior Director of Global Equality for Salesforce. Molly shared with me why Salesforce has placed equality at the heart of the organization, the business impact it is already having on the company, and why it is important to the future of the organization when it comes to attracting millennials to the company. Below is an edited transcript of our conversation. To see the full interview, play the video below or click the embedded SoundCloud player. Small Business Trends: One of the things I wanted to talk to you about is the whole role of equality in Salesforce, but before we do that, maybe you could give me a little bit of your personal background. Molly Q. Ford: I am seven years part of the Salesforce Ohana. Ohana is the Hawaiian term for family, so our chosen family, part of the employee base here. I started my career as a communications person. Throughout my years, I would always look for representation or opportunities to see people like me on stage, to see those people reflected back at me. I started organically during my PR tenure here at Salesforce to work on putting women on stage, people of color and really wanting to see that community reflected in the voices that we hear from Salesforce. That lead to me creating the Women’s Summit at Dreamforce. That was 2015 and that was taking Dreamforce, known as the world’s largest software conference, and spending one whole day dedicated to exploring women leaders, women thought leaders. So, you see these amazing conversations happening on stage and then you look up there and say wow those are all ladies. Really powerful. That grew into me creating my own role. I moved into employee success or what we call HR here, working on diversity and within months, the company decided we’ve done things to advocate for LGBTQ in Indianapolis. We’ve done equal pay. We focus on high potential women and advanced in gender equality in Salesforce, but we really wanted a team that would be proactive and be accountable. Where’s the accountability? Who’s driving this strategy for the company? So, think about Salesforce in that we have four core values: Trust; trust being our number one value, trust with our employees, trust with our customers. Then growth, innovation, and then equality. So we said, how do we really live out equality and manage that? With that, we hired Tony Prophet as our Chief Equality Officer. Tony had been a long-time customer of Salesforce from HP and Microsoft and he had the opportunity to move and to become part of our Salesforce Ohana and we built a team that said we need to focus on driving equality for the company. How do we turn this into a core value? We actually want equality as if we’re a business unit, like we’re a cloud strategy for the company. We have a V2MOM, as you know our guiding principle for the company. Molly Q. Ford: Yep, absolutely. Vision, and then your Values, Methods, Obstacles, Measures. So if we said my V2MOM is to lose weight, then we say, okay how do we all make that happen and what’s our vision for that, and what’s our methods? How are we gonna get that done? Is that drink water, exercise, run a marathon, and what are your obstacles and measures to have that happen? So we created the office of equality. I like to say that my day job is to sell equality, to bring our employees on this journey. I need 30,000 employees and our customers to join us on this path to equality. Small Business Trends: Salesforce has been a really successful company over the years. What role is equality playing in that ongoing success and what role will it play in the future? Molly Q. Ford: Well, we know from studies from McKenzie that companies focused on gender and racial equality have the opportunity to outperform their competitors, that they can be more successful. So we do equality because it feels good, but we also do it because there’s a business value. We also think that our equality narrative between equality and giving back with our 1-1-1 model where we’re giving 1% of our employees time to schools, 1% of our equity to non-profits and NGOs [which] can use our products. That’s helping us to attract and retain talent. People want to come to a company that’s saying, wait, we don’t have all the answers, but we’re trying and more importantly we’re saying that we’re going to advocate and stand up for our employees and customers. Small Business Trends: You guys are doing a special award around equality tonight. Small Business Trends: Equality has become a really central part of Salesforce only starting what, less than two years ago. Small Business Trends: Why has it become so immediately a part of the culture? Molly Q. Ford: I think it’s a time where we’ve seen Salesforce make some moves again in Indianapolis, standing up against discriminatory legislation advocating for women and equal pay and this became a time where we said, okay let’s have a concentrated focus. How do we do this and drive our business as well? I think also it’s a time where our employees … You know studies are telling us that millennials want to work for a company that gives them a greater sense of purpose at work, that is doing that advocacy. We saw Marc [Benioff] stand up a couple of weeks ago and talk about CEO activism. A responsibility to not only provide for our shareholders, but also be defenders of our values. And we’re really excited about tonight’s equality awards. Salesforce Equality Awards will honor trailblazers in equality that have been advocates, that are standing up and using their voice. For example, that’s actress Evan Rachel Wood. She stood up and actually testified about #MeToo, and about harassment that happens within her industry. Then we have the honorable former [San Francisco] Mayor Edwin Lee. Mayor Lee was strong partner to Salesforce. Especially in driving technology into education. Helping us with our program that’s simply called, Circle the Schools, where Salesforce executives go partner with a principal at a school, a public school and we said, what do you need, and how do we help you. Whether that means buying iPads for the classroom, or that means painting over graffiti and providing a principals discretionary fund. So, that partnership with Mayor Ed Lee was invaluable to Salesforce. He will be missed. So we want to honor his legacy and his wife will be joining us to celebrate his award. Also, we have the honorable Stevie Wonder. How amazing is that? An equality trailblazer and activist whose music is like the soundtrack of the ’70s, the ’80s and even modern day times. Then we have Emily Chang. She’s also an anchor for Bloomberg, but also the author of Brotopia. So really bringing to light some of the conversations that are happening in Silicon Valley about whether that be a bro culture or about discrimination and how we can really draw gender equality and tech. Last but not least, because we’re here at TrailheaDX, we want to honor our community developer folks. And that’s Shonna Hughes. And Saturdays she’s teaching Pop Up Tech. She’s taking underserved kids and teaching them how to code. She’s teaching them how to actively get involved in the Salesforce economy. So tonight, we’re gonna take the time to honor those heroes and sheroes of ours. There’s equality trailblazers that are in our community. To just recognize them for the work they’re doing and just let them know that they’re appreciated and part of our Ohana. Small Business Trends: If we look out five years from now, where do you hope equality will be, not just for Salesforce, but particularly when it comes to the tech community, where do you see equality being in five years if things that you’re doing catch on with other companies? Molly Q. Ford: I think a lot of companies have joined us on this journey to equality. We in the valley, we’re sharing best practices, we’re talking. We’ve noticed that no company right now has the answers to solving this, but we’re all working on it. So one thing we’re doing is we’re working on making Salesforce more inclusive. We hope that spreads. How do you come inside our walls and be more inclusive and then how do we spread that externally? In five years, right now, it’s hard to say. There’s so many challenges with equality that we’re facing, but I hope that we evolve. We have those wins along the way and we can celebrate our successes. Small Business Trends: And where can people learn more about what Salesforce is doing with equality? Molly Q. Ford: You can learn about that at salesforce.com/equality. We have our equality trailblazer information also in full transparency. We have our diversity data and stats there and reporting out what we’re doing as a company. We have a lot of information about Ohana groups or employee resource groups. Those are the 10 organizations that are employee volunteer lead, that are helping us drive equality inside Salesforce. (NEW YORK) — A majority of young people believe President Donald Trump is racist, dishonest and “mentally unfit” for office, according to a new survey that finds the nation’s youngest potential voters are more concerned about the Republican’s performance in the White House than older Americans. 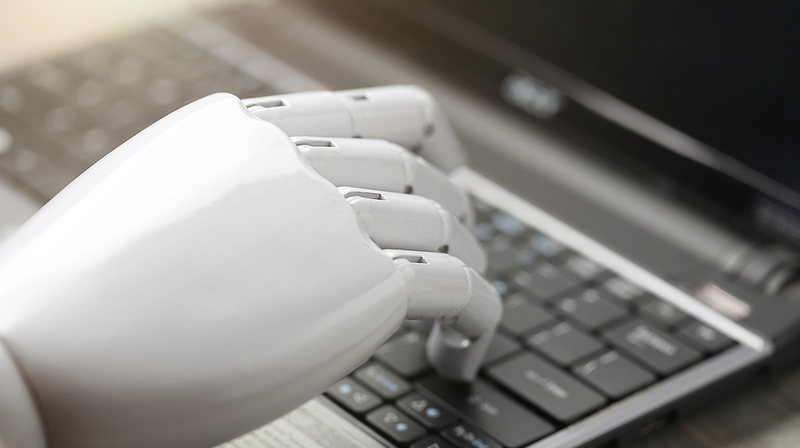 By 2025, Tractica forecasts annual worldwide AI software revenue will increase to $89.8 billion. And Gartner says AI technologies will be in most of the new software products by 2020, and it will create more jobs than it gets rid of. You are currently browsing the Business, finances, forex blog archives for March, 2018.